Capital’s afternoon club sweep rowing program (Club PM) is designed for rowers with previous experience. 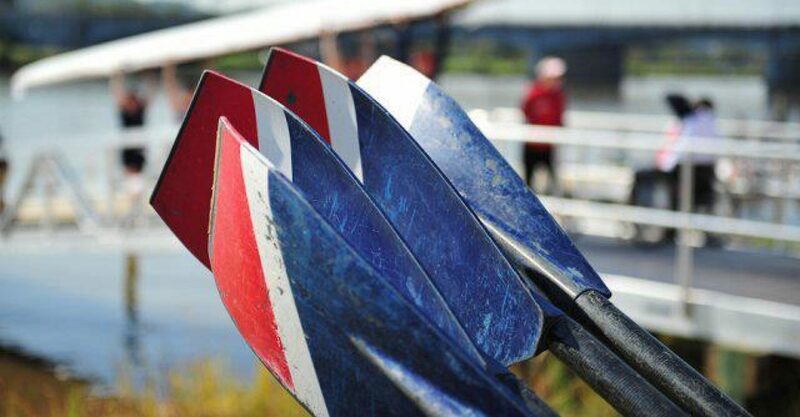 At a minimum, we request that prospective athletes have either (1) completed Capital Rowing Club’s Learn to Row and Intermediate Rowing programs, or (2) have completed a Learn to Row program at another club and have participated in rowing for at least one year. Club PM meets for practice Monday through Thursday at 6:30 pm and Sundays at 4:30 pm, rain or shine. Club PM rowers come from diverse backgrounds. We welcome athletes with high school, collegiate, and/or masters level rowing experience. All interested rowers should contact membership@capitalrowing.org for more information. Club PM strives to provide a welcoming and challenging environment to rowers of all experience levels, from former collegiate and masters-level rowers to those who recently transitioned in from Capital’s intermediate rowing program, while fostering a positive community for rowers through social events and community service. Club PM focuses on technique development through regular practice and competition. Although optional, all members are encouraged to race in regattas. The program also aims to foster camaraderie and social aspects of rowing by organizing weekly dinners and happy hours after practice. Club PM encourages its members to become active volunteers in Capital’s numerous sponsored events, such as community outreach, regattas, and riverside cleanup. There is no attendance requirement for the Club PM program; however, athletes interested in racing are encouraged to have consistent attendance. Practices are held Monday through Thursday from 6:30 to 8:15 pm, and Sunday from 4:30 to 6:15 pm, rain or shine. Prior to launching, athletes stretch and warm up with calisthenics to promote strength and flexibility. While on the water, athletes can expect a combination of drills and distance pieces. All athletes are expected to share the coxswain responsibilities. Rowers are expected to know and understand all boat maneuvers and verbal commands, both on and off the water. Each athlete can expect to cox at least once a month, or as needed. Club PM coaches and athletes understand that new rowers may be foreign to commanding a rowing shell. We will do our best to ensure that all new coxswains have the correct information and safety equipment before launching. 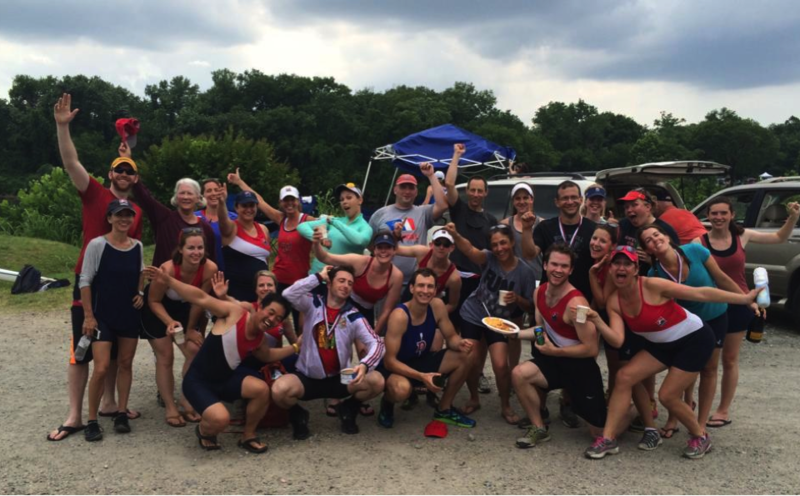 Capital Rowing Club is a volunteer-run organization, and members are expected to volunteer at least four (4) hours each season. Opportunities can be found in the Volunteer section. Club PM rowers are encouraged, but not required, to race in regattas. Club PM competes in both Sprints (1000 m) and head races (up to several miles). Past races Club PM has attended include: Stonewall Regatta (DC), Charm City Sprints (Baltimore), Rocketts Landing Sprints (Richmond), Independence Day Regatta (Philadelphia), Capital Sprints (DC), Diamond State Masters (DE), US Rowing Masters Nationals, Head of the Potomac (DC), Head of the Anacostia (DC), Occoquan Challenge (Northern VA), Occoquan Chase (Northern VA), Head of the Hooch (TN), and Head of the Occoquan (Northern VA). All interested rowers should contact the Club PM Representative at club_pm_rep@capitalrowing.org for more information.